A new double-DVD release in the highly regarded series exploring the world of TV’s Doctor Who in what will build into a complete work on The Doctors. 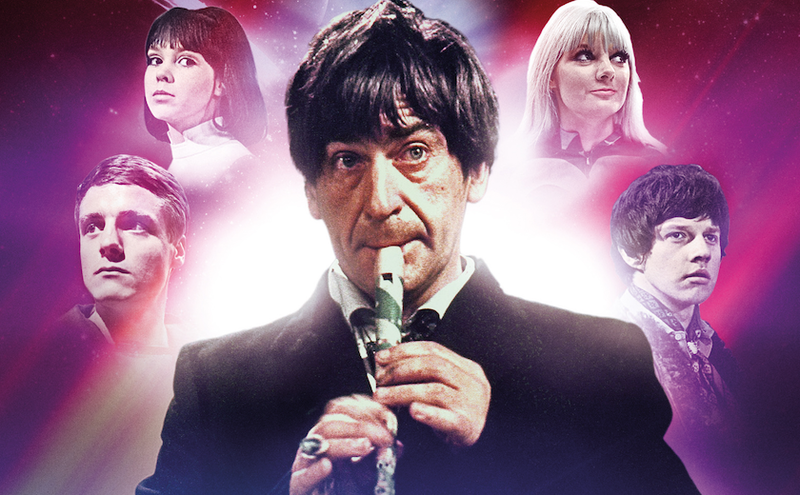 This is the definitive set of interviews with the team of actors who brought the Patrick Troughton era of Doctor Who to life, offering a whole new insight into the making of the classic science fiction series. - Includes a special tribute to Patrick Troughton containing messages from a host of stars and production staff from Doctor Who. - Presented by voice Nicholas Briggs, voice of the Daleks and Cybermen. - Quality in-depth interviews with, Anneke Wills (Polly), Michael Craze (Ben), Frazer Hines (Jamie), Deborah Watling (Victoria) and Wendy Padbury (Zoe). - This two disc special collectors edition is 5 hours of pure nostalgia, which will give you a whole new insight into the making of Doctor Who! - Includes special feature: Introduction by Nicholas Briggs & Producer Keith Barnfather. Koch Media Presents The Doctors: The Pat Troughton Years on DVD, out now and available to order from Amazon.co.uk for £9.99. Previous DVD releases include 'The Jon Pertwee Years', available for purchase now with two other 'Doctor Years' confirmed to release later in the year.